Welcome to “Active car removal“ where car owners can sell your their car for cash instantly and also get free car removals from any regions Sydney wide. Are you looking to sell your car for highest amount of cash? need Free car removals? if yes, then you are at the right place. We at Active car removal pay unbeatable cash for cars from any make or model regardless of its condition whether its damaged, old, unregistered, running or not, we still buy it for top cash up to $9999 on the spot and provide you with free car pick up Sydney wide. We guarantee 100% satisfaction and reliable service. Give us a call now and we will buy your car instantly. Selling car to us is easy & we also complete the necessary paperwork. We have been in the industry for many years and all our customers are satisfied. Vehicles we buy includes: Passenger car, Truck, Van, Ute, 4×4, SUV, Wagon and much more. all makes and models are purchased for maximum cash within Sydney regions and surroundings. Active car removal is part of Scrap Cars Removal Sydney that also offers cash for cars removal all regions. We are specialized in providing reliable car removal service and pay you as much as possible for your car. Active is Sydney’s most preferred car removals service provider that also buys your car for cash up to $9999. We remove your car same day from all regions Sydney wide. Why spend on your old car when you can simply sell it for highest cash rate. Our service specializes removal of your old, damaged, junk, accident, scrap, second hand and unwanted cars. We got more for you! We pay you at the time when we remove the car, simply give us a call and sell your unwanted vehicle fast and hassle free. If you need fast service just ask our team for a same day car removal. Want to sell your car for quickest cash? One that doesn’t require you to repair your vehicle? One that offers the best price? One that doesn’t require you to meet with buyers? Taking them on test drives? Haggling over price? Maybe one that combines all these aspects in selling your vehicle like you’ll get from Active car removal, we are the ones to call. We are a car buyer that is fully licensed, bonded and insured and one that doesn’t waste time. Whether you simply want to get a cash quote on your vehicle, want to sell your vehicle today, or schedule for a free removal and cash for cars payment for a week or two out from now, call us. Selling your car can give you hassle, Time consuming and Having strangers come to your home. There is nothing to worry just give us call and we will but your car for free and pay you instant cash on the spot. Used car, scrap car, wrecked car, accident car, high mileage car, low mileage car, flooded car, fire car, salvage car, junk car, damaged car, mechanical problems car, body damaged car, engine damaged car, unwanted car, rusted car, etc. How Much Can I Get For My Old Car? You can get up to $9999 cash for your unwanted car. How? Simply by giving us a call or contacting us here through our site. We only need to know a few details about your vehicle and our specially trained and highly knowledgeable specialists will go to work calculating the value of the vehicle to make you a fair offer. We give you instant quote over the phone or email if you submit an online enquiry. Sometimes the time to get your vehicle removed is the day you decide to sell the vehicle. We offer same day car removals that are fast and convenient. We don’t just collect a few vehicles here and there that are guaranteed to bring us a good price, we collect all vehicles and offer a fair price. We buy your car same day along with free pick up from any suburbs in Sydney. Call us at: 0478 658 800 Please have the make, model, year, condition, odometer reading ready to provide to us. Complete our online “Get a Quote” form located at the top right of this page. Arrange for a convenient time for us to collect the vehicle. Remove the plates to the vehicle and have the title of ownership ready to provide to our car removal specialist. 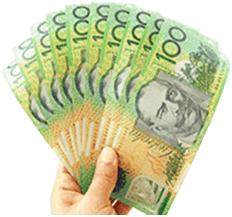 Please Note: As of March 1 2017 we are not allowed to pay cash as outlined on: NSW Police Force website. We service Sydney wide regions with same day service and provide cash payment on the spot. Looking to sell your car for cash in Brisbane call Flash Cash For Cars Brisbane and also get car removal service Brisbane same day. Our associate in Christchurch Metro car buyer is also buying unwanted cars for cash across regions. Our associate Auckland Car Removal provides cash for cars across Auckland region and is known reliable car buyer. "Fastest Way To Sell Your Car For Cash"